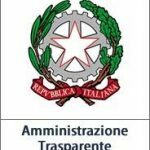 Previous Post:PSR 2014/2020- RICHIESTA PUBBLICAZIONE BANDO PIT PROGETTI INTEGRATI TERRITORIALI MULTIMISURA. Next Post:ORDINANZA PER CHIUSURA STRADA COMUNALE BIVIO PER FOSCIANDORA-CESERANA IN LOC. PONTE DEL RIO.